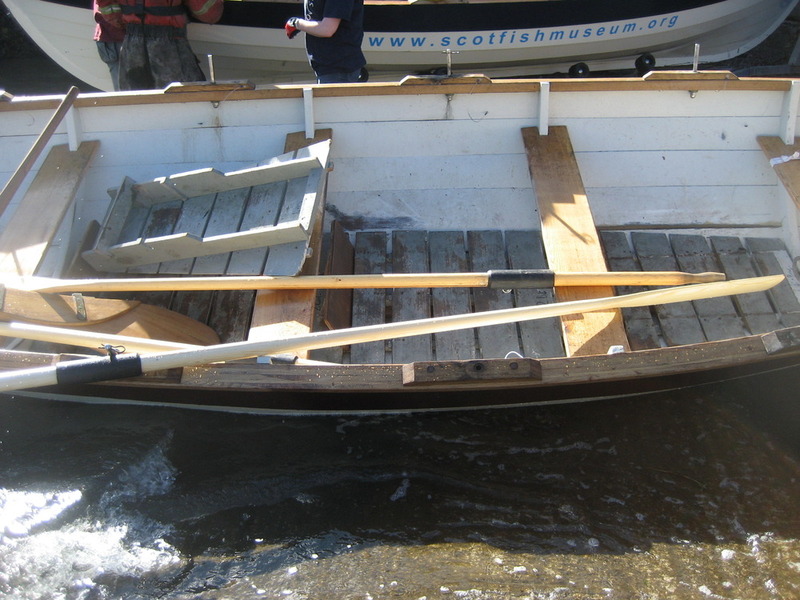 The workshop is now open for volunteers to get involved with building the second St Ayles skiff in Portobello and restoring the single man 1930s rowing boat donated by the Morrison brothers of Portobello. 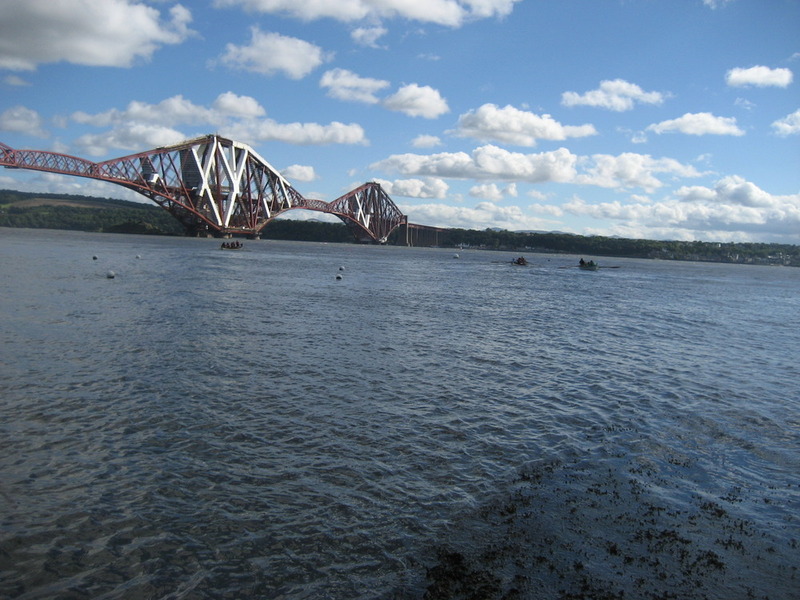 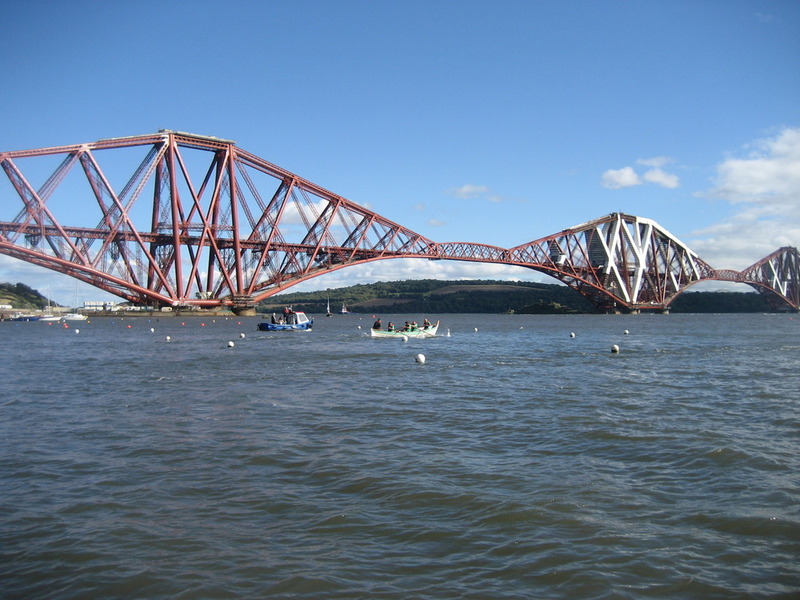 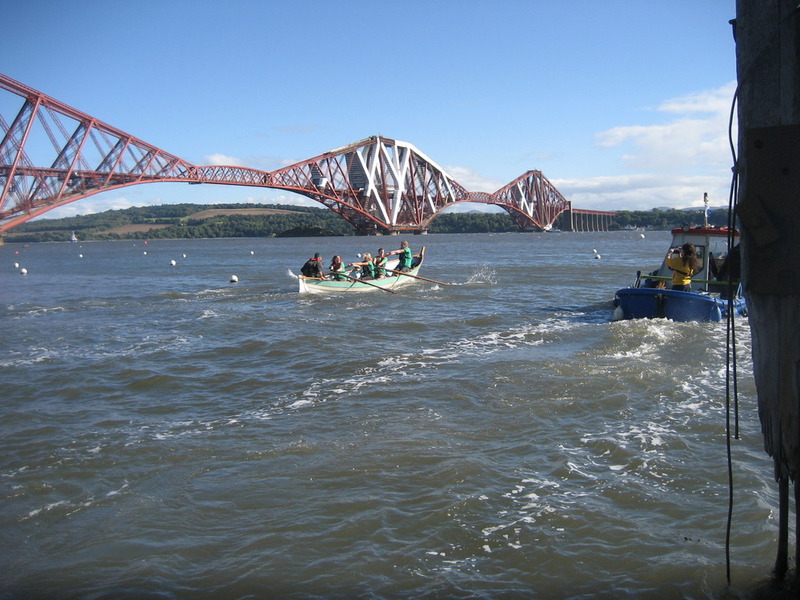 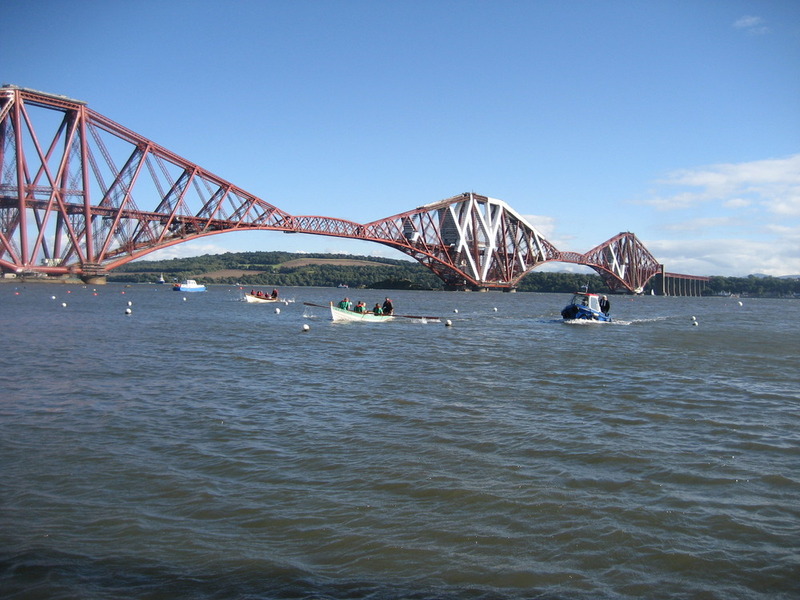 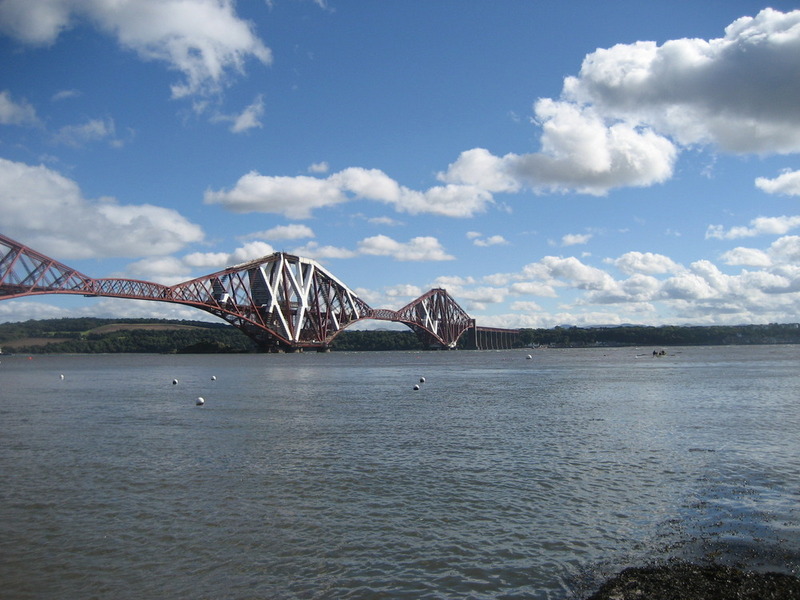 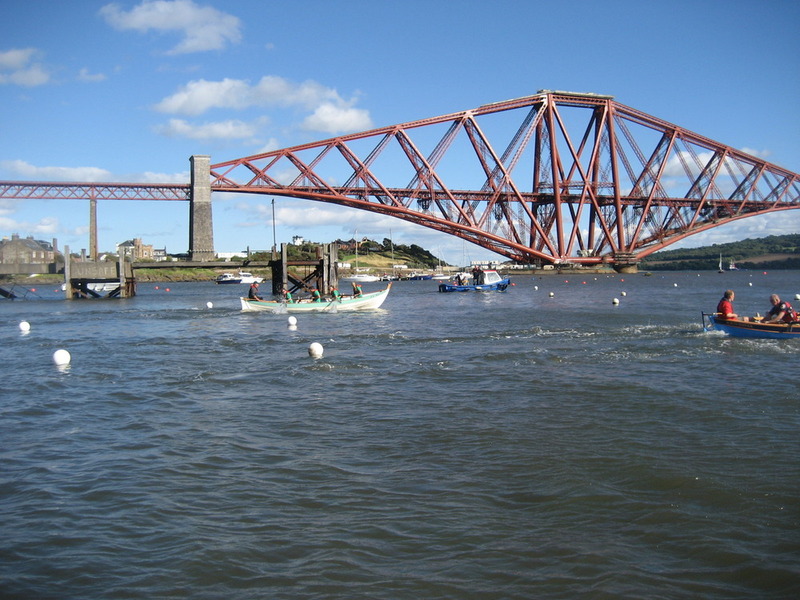 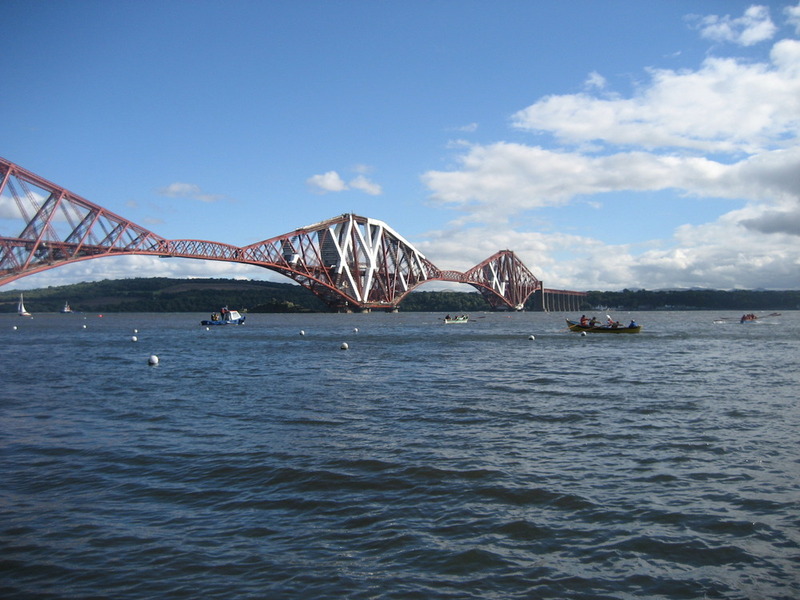 On Saturday 11 September Icebreaker joined the North Queensferry Tradional Boat Festival. 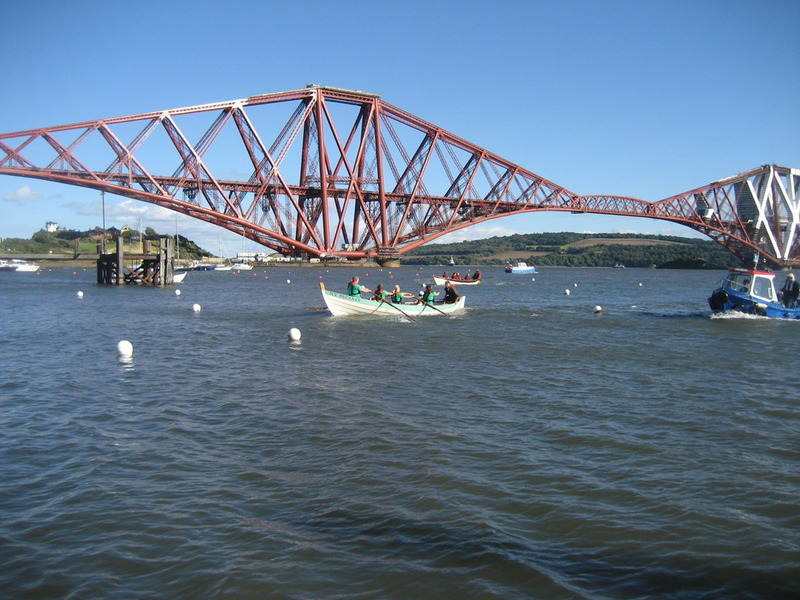 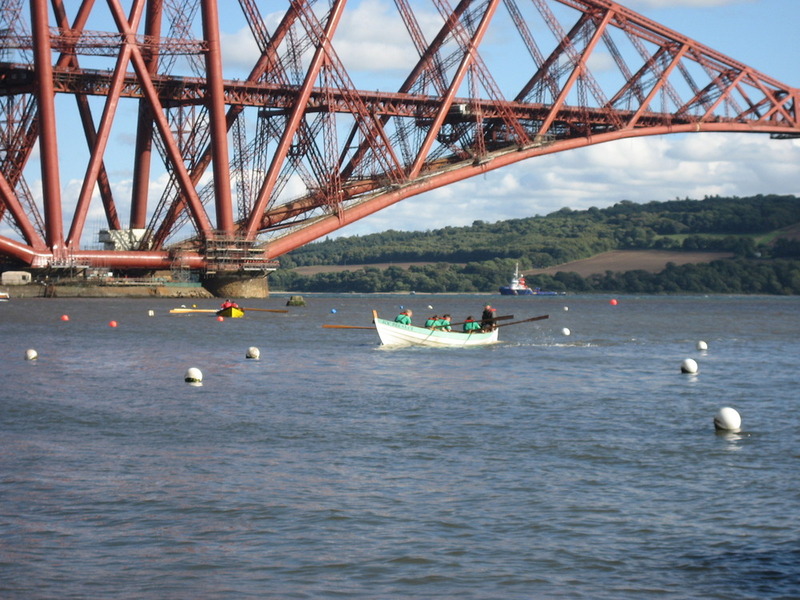 She set off rowing from Portobello beach in the the morning, but the wind got up and by the time they reached Granton the head wind was just too strong to row against. 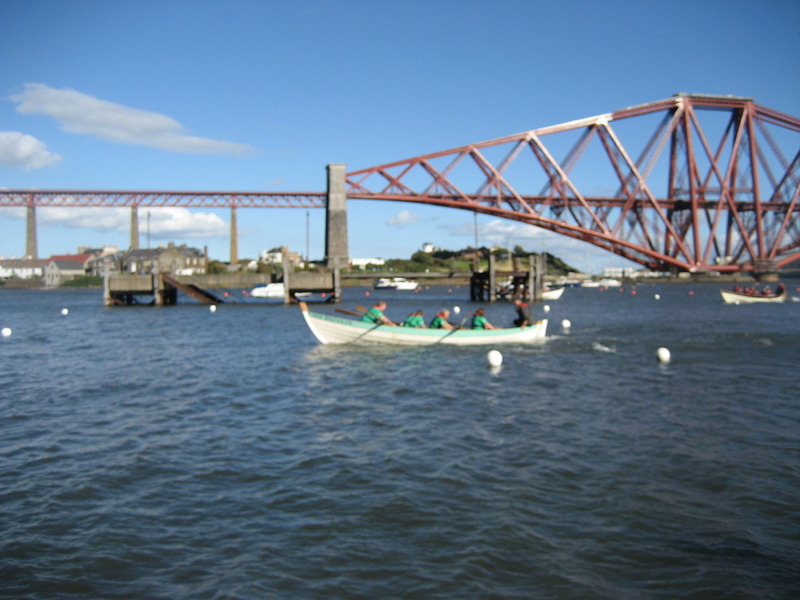 Telephone calls were made and the trailer brought from Portobello and the journey continued by road. 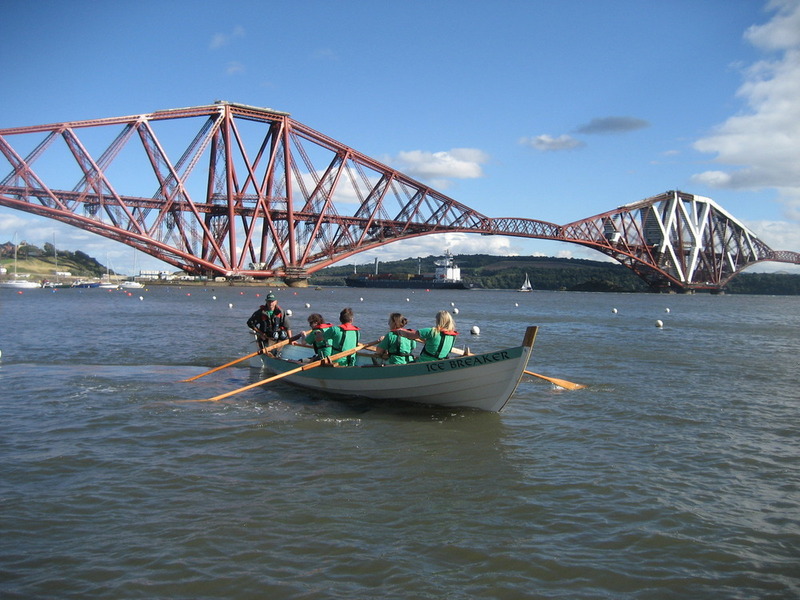 Superb rowing – just look at the timing in the video – well done guys and gals! 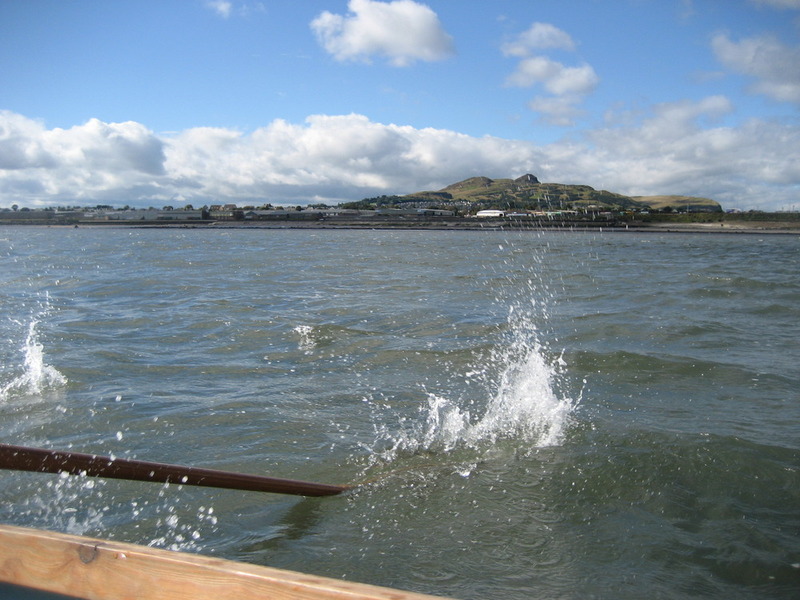 And a great video of the race – and I can’t help but enjoy the final segment as Icebreaker crosses the line – and the camera pans round, empty water, pans round more, more empty water, oh and there’s Boatie Rows. 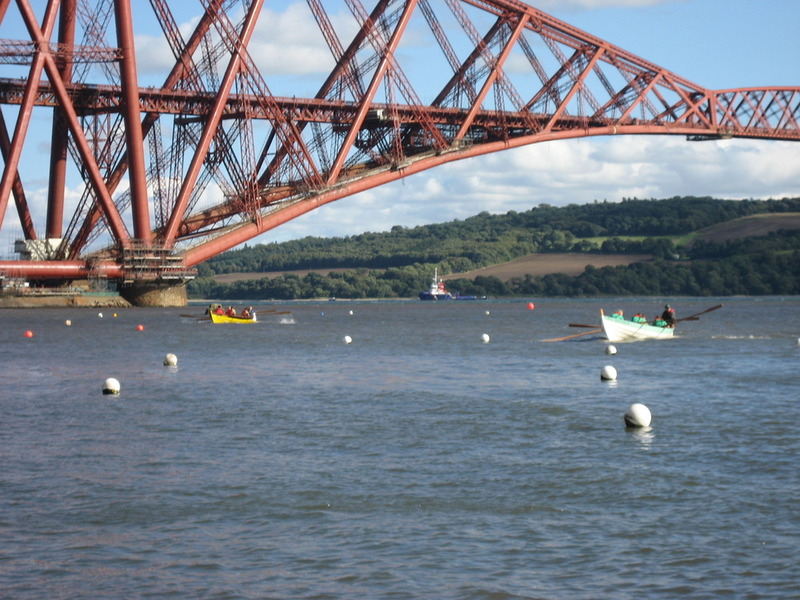 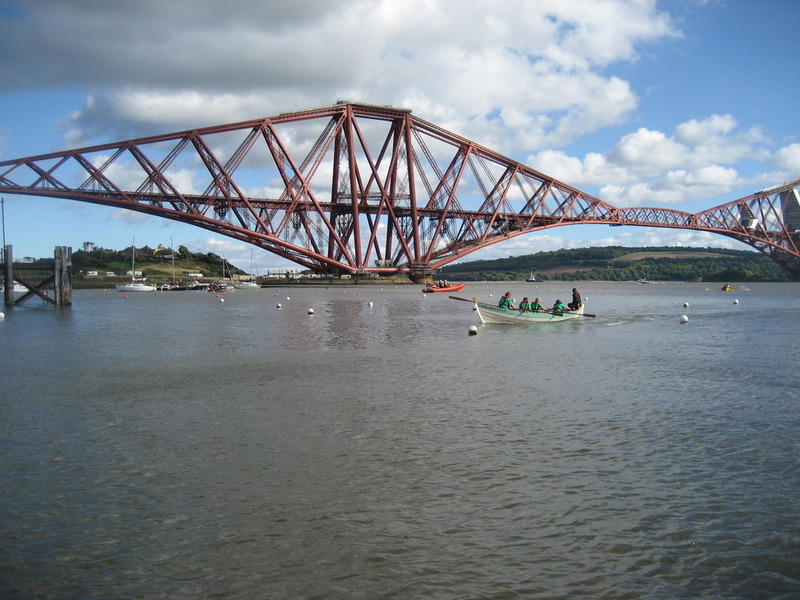 As well as the racing there was rowing under the famous bridges. 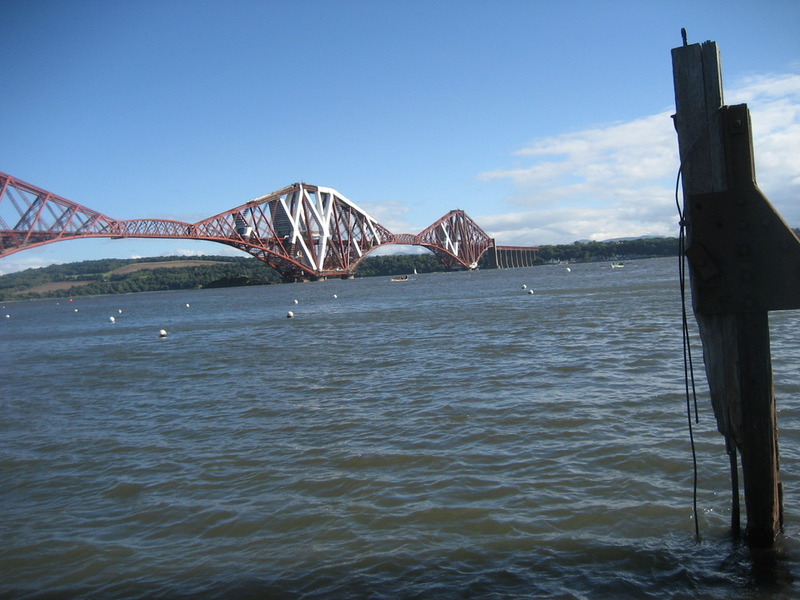 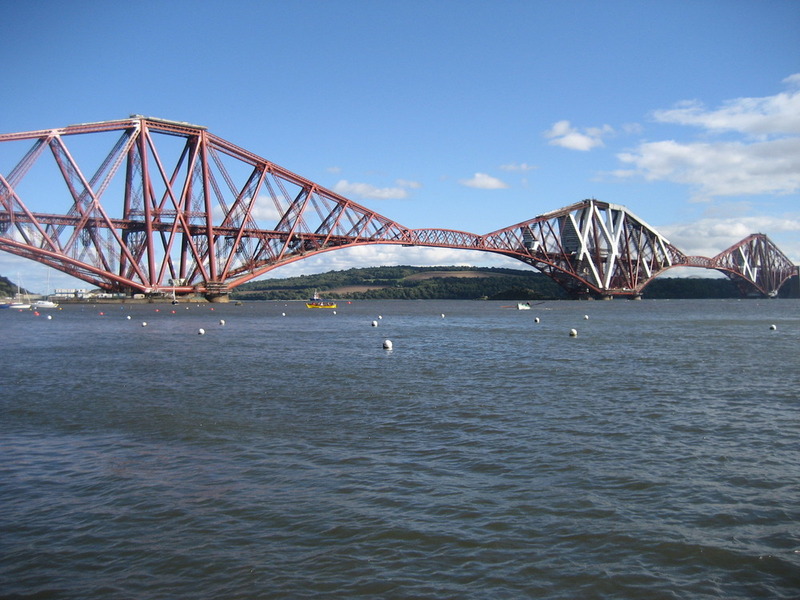 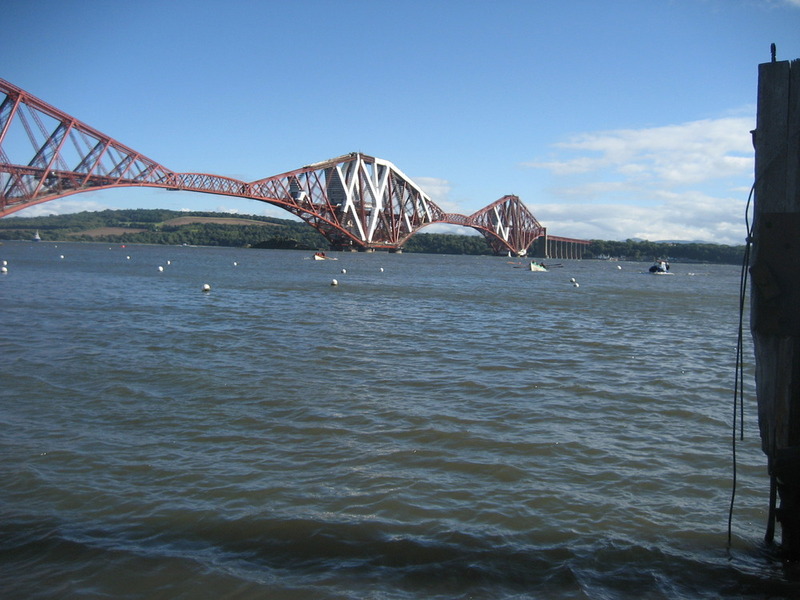 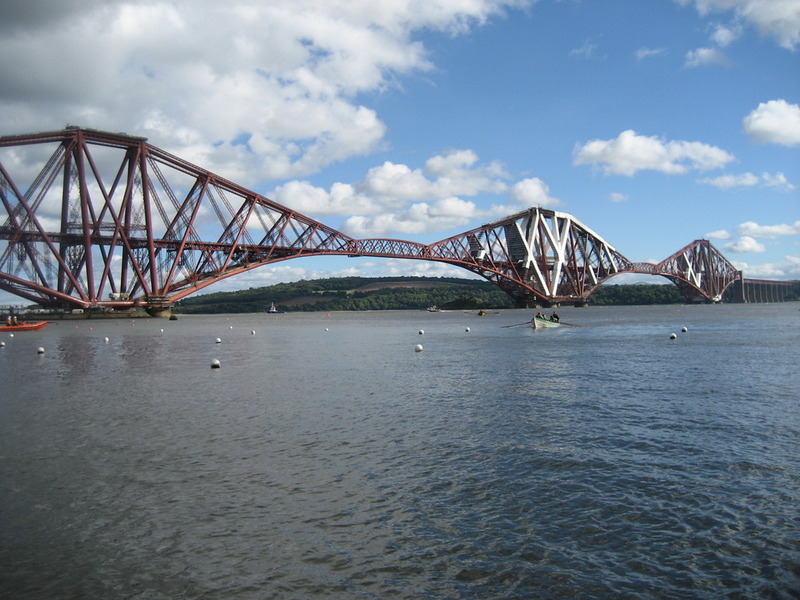 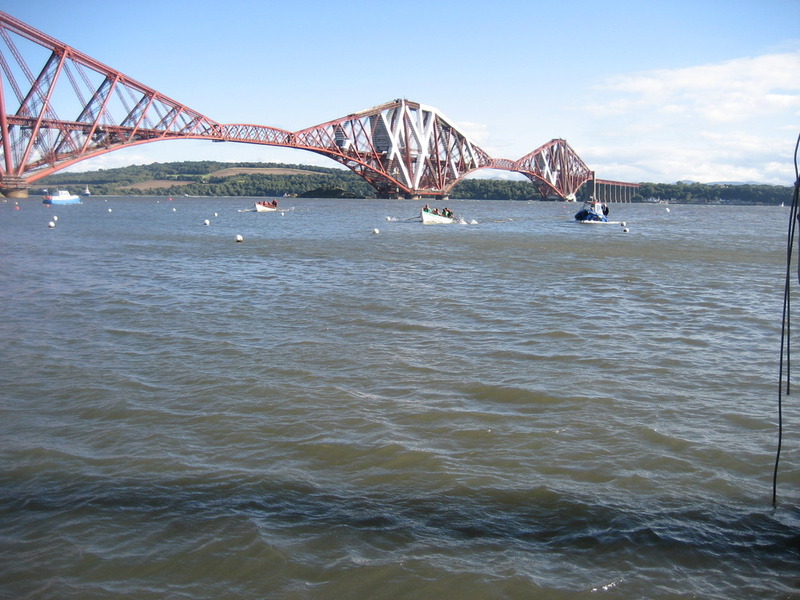 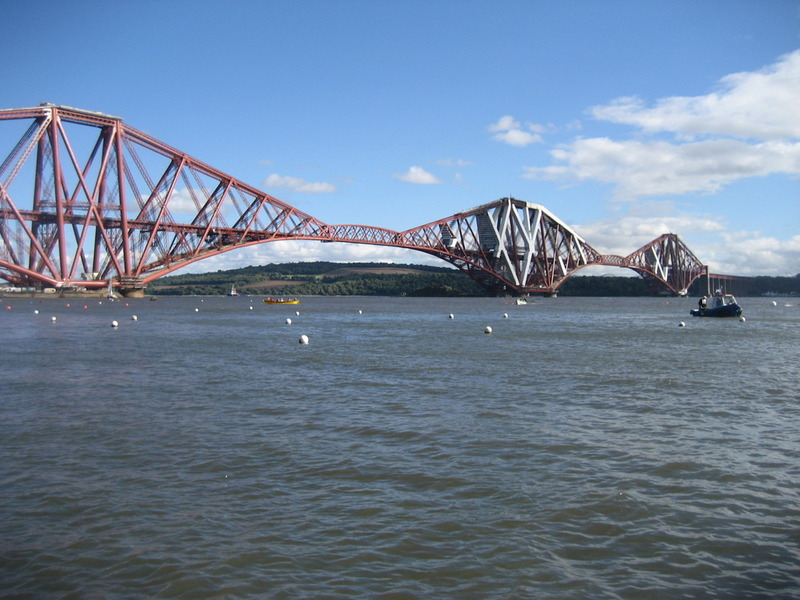 Thanks to North Queensferry for a great day out. 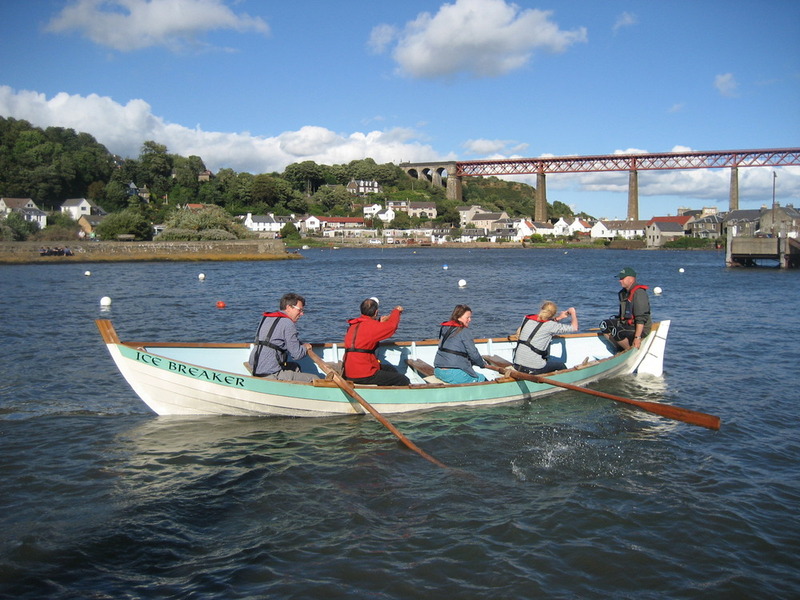 To get ourselves a little more organised and avoid people turning up for rowing and finding no space in the boat – we’ve set up a calendar and booking system. 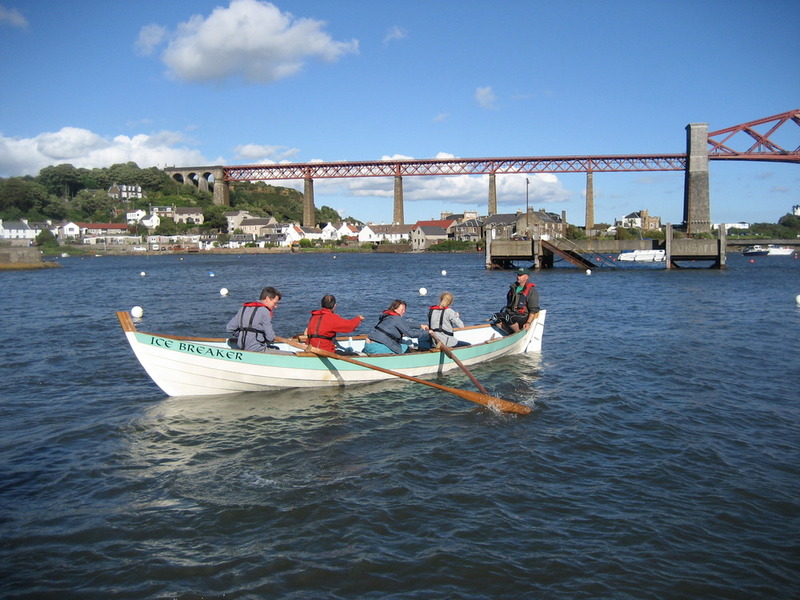 The calendar shows all the training sessions – and other events – and you can book a space in the boat. 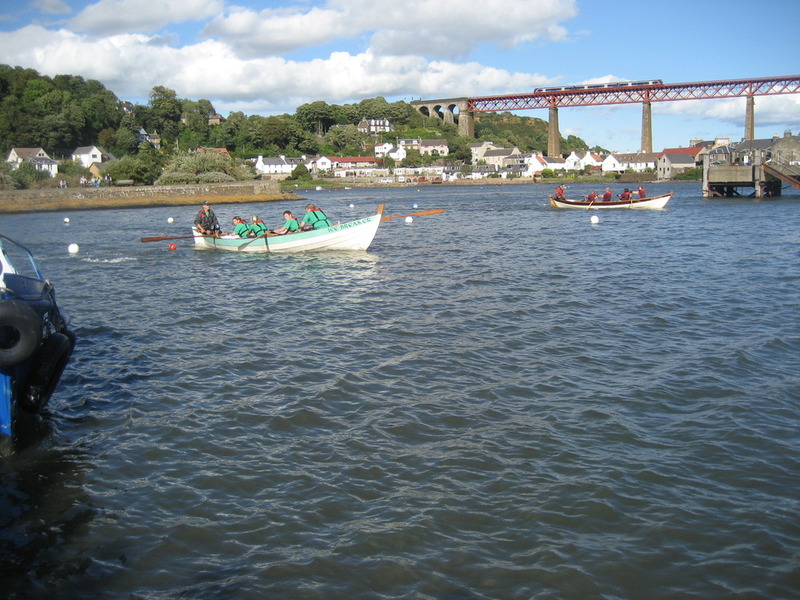 You can even choose to have a reminder emailed to you, or to add it to your own online calendar. 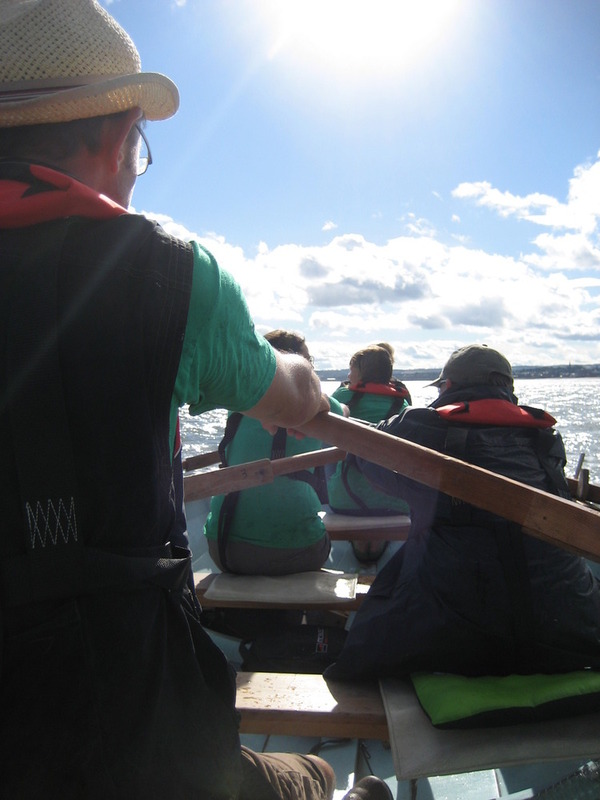 To book your space, you’ll need to log in to the system (called BigTent) – the first time you’ll need to set up an account. 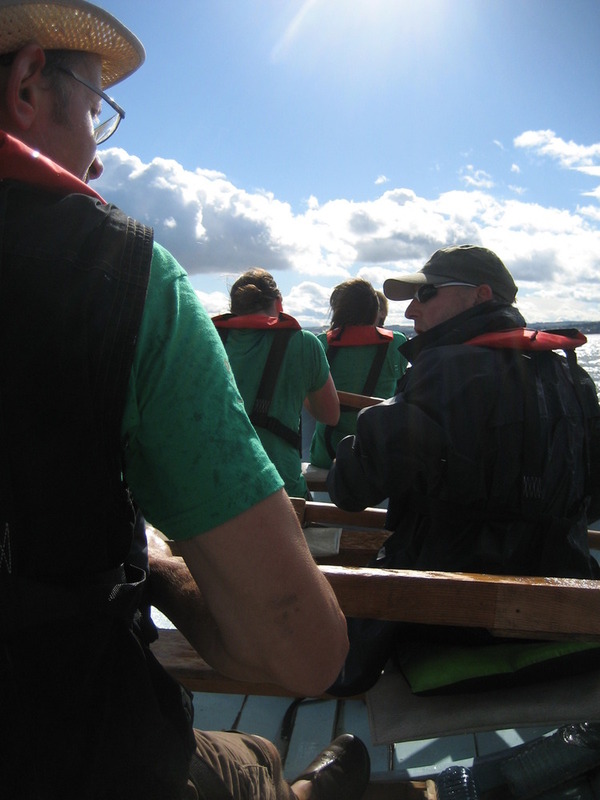 While this is an extra layer of technology we feel it’s a small price to pay for keeping track of all the sessions – and ensuring people can row then they planned! 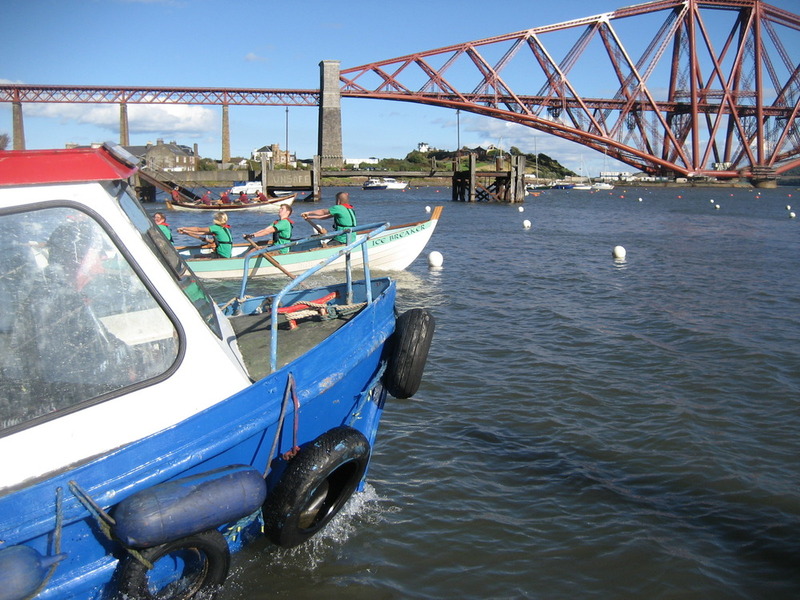 Here’s the place you need to go… and remember to click ‘RSVP to this event’ to book your space!